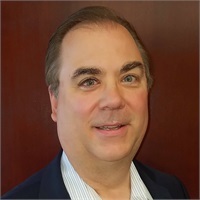 Frederic Hoffman | Associated Pension Services, Inc.
Fred founded Associated Pension Services, Inc. a full service pension consulting firm, in 1988. He graduated from the University of Illinois in 1983 with an MBA in Finance. Fred’s professional licenses and designations include Series 6, 63, 65, 7, & 24 from FINRA and the Accredited Investment Fiduciary (AIF®) designation. He became a Qualified Plan Administrator in 1989 and is also a member of the American Society of Pension Actuaries (ASPA) and the National Institute of Pension Administrators (NIPA). Fred and his wife have lived in Arlington Heights, IL for close to 30 years. He is the proud father of 5 grown children and has 3 grandchildren.